I used to collect pre-decimal curreny Australian stamps in my youth and I would like to pick the hobby up again now I have retired. I hope to get advice and suggestions from members so that I can do it properly. I collect British Commonwealth and I just organize everything by Scott catalogue format. There is likely a better specialist catalogue for Australia. This is an image from a collector (Rod) who mounts his on album pages by Bill Steiner. I use the same pages. poppaxxxx, Welcome to Stamp Bears. I'm sure you will enjoy your stay in our little den. Looking forward to hearing more about you and your collection. Welcome to Stamp Bears, poppaxxxx! It's great that you are returning to stamp collecting. We all are faced with a few critical choices in our lifetime, and you've made the right choice! I've always enjoyed the pre-decimal Australian stamps, and it's certainly a great area to collect. There's really only one way to "properly" collect stamps -- make sure you enjoy it!!! Beyond that, suggestions from other collectors are often useful. But don't feel the need to "copy" someone else's collection or collecting habits. Collect the way you want, because it's your collection, for your enjoyment! I started off using stockbooks, then moved to Vario pages as my collection grew. After that, I moved to pre-printed albums once I started getting enough stamps. The Steiner pages mentioned by Al are an excellent and inexpensive choice. I usually eventually upgrade to hingeless albums once a country collection develops sufficiently -- but it's a step-by-step process for me so my albums tend to be mix-and-match. My decimal Australia is currently in a 7-volume Lindner hingeless. The pre-decimal stuff is still in Scott Specialty album. For other countries, if I don't have a Scott Specialty album, I'll put the used stamps onto Steiner pages once I get the hingeless album for the mint stamps. Please post pictures of your stamps when you can! We love to look at stamps, even if they aren't our own! poppaxxxx A very warm welcome! I hope you enjoy your stamp-collecting. I too returned to it after I retired. My main focuses are British Commonwealth pre-QE2 and worldwide to 1930. Thank you all so much for the great welcome. My other hobbies/passions are trading the, looking after my grandson during the day, trading forex currency markets and restoring old cars. A bit of a mixed bag there. poppaxxxx, we are so happy you joined us here on Stamp Bears. Hope you will share pictures of your collection with us. 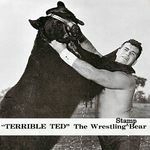 Welcome to Stampbears. I am sure you will have a great time here.